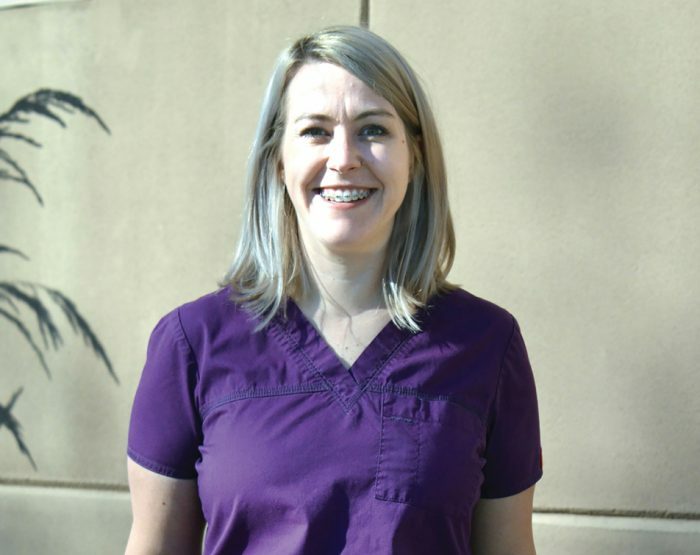 Lindsay Stringer, a full-time labor and delivery nurse at St. Anthony Hospital, is also a volunteer sexual assault nurse examiner for Oklahoma City YWCA. If you had told Lindsay Stringer in college she would not only be a labor and delivery nurse, but that she would also be part of a team that saved the lives of women who had experienced the depths of sexual, physical and emotional abuse, she would have said you were crazy. Today, that’s exactly the description of the 34-year-old’s professional life. But, that’s certainly not how Stringer started out, she said. Growing up in Edmond, Stringer graduated from Edmond Memorial High School, moving on to Oklahoma State University. There, she earned a bachelor of arts degree in education. She moved to Seattle, teaching there for three years. After moving back to Oklahoma City, the young teacher worked as a substitute for a time – but something was just missing, Stringer said. Stringer graduated in 2014 from Oklahoma City University’s Kramer School of Nursing. While there, she started working in St. Anthony Hospital’s labor and delivery department. “It just turned out to be a great fit for me – I still work there full-time,” she said. It was through her job Stringer first learned about something that would change both her life and the lives of countless others. That SANE nurse was actually a sexual assault nurse examiner, a volunteer with Oklahoma City YWCA and part of a program – in conjunction with DVNE, or domestic violence nurse examiners – that provide care to sexual assault victims and women involved in, and trying to escape from, domestic violence situations. SANE and DVNE volunteers not only care for patients’ physical injuries – they are there to provide a sounding board for the emotional trauma they’ve experienced. While conducting a physical examination, nurse examiners collect forensic evidence for possible criminal action against the patient’s attacker and, most importantly, they listen, Stringer said. Volunteers like Stringer are required to attend training and then take eight-hour on-call shifts. Sexual assault victims wait for nurse examiners in a private area and an advocate is also on hand at the time of the examination. Nurse examiners can face an emotional tightrope in dealing with victims. Some want justice, while others do not want to face everything entailed in filing a police report relating to sexual and violent assault. Most importantly, they many times need support in a climate that might – perhaps, even subtly – blame the victim for the incident; even with family and friends, there are often feelings of shame that can lead those victimized down an even darker path, Kemp said. “So many come forward and nobody believes them – how good a forensic nurse would I be if I didn’t believe them and didn’t collect as much evidence and information as possible, whether they want to report or they’re a case of non-report,” she said. “There are also so many who blame themselves because maybe they were drinking, perhaps there was a consensual situation that led somewhere else. “Sexual assault is never a natural consequence – no one deserves to be sexually assaulted,” the forensic exam director said. Stringer and her fellow nurse examiners have a unique ability – not only to take on a second position as a volunteer, but also one that can be both physically and emotionally draining at times. And, those nurses are needed – Kemp said YWCA’s SANE and DVNEs conduct about 425 to 475 examinations a year. While that number is staggering, what is more alarming are the numbers of women who never receive any kind of examination or treatment, women who are afraid or embarrassed and never report an incident at all. YWCA officials hope nurse examiners like Stringer will turn that tide. Both sexual assault and domestic violence nurse examiners work to empower victims, letting them know that no matter the circumstances of their assault, they are not to blame – and they are not alone. “Sexual assault is a community issue that moves far beyond victims, their families and the programs that are trying to help them,” Kemp said. For Stringer, giving up the time to work as a SANE is as much a gift to her as a service to those she is helping, she said. 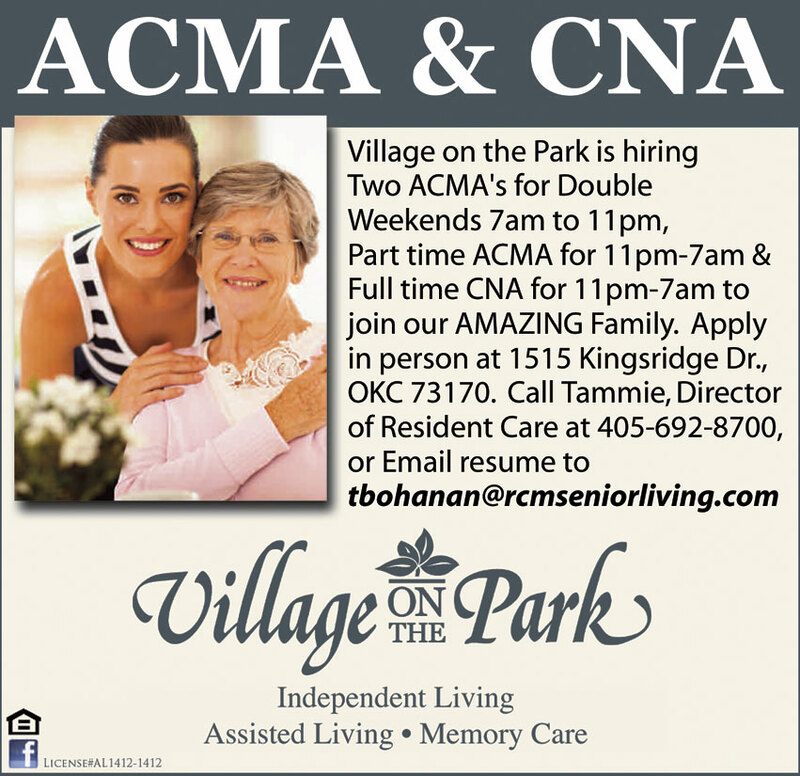 Part time ACMA for 11pm-7am & Full time CNA for 11pm-7am to join our AMAZING Family.